I will keep this post short. My AtoZ challenge was a success. Very happy how it turned out. Thanks to that, I finally reached 50,000 views. My blog has been going since March 2014, and since June of that year I’ve received at least one visitor on my blog everyday. Quite an achievement. What’s my secret? Honestly, is keep at it. I’ve had 5 other blogs before this, and they all did poorly. Primarily, because I was too focused on what I thought my visitors wanted, and not enough on what I wanted. 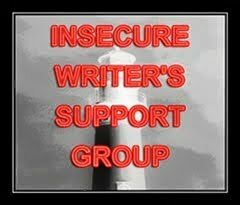 With this blog, I made the decision to maintain what I needed from the site as a resource to writers, and since I was dedicated to that, my blog took off, despite it taking many months to get there. My passion that helped make this blog successful was Worldbuilding. While I’ve had other things here and there, that is what got me noticed. As it stands now, I have 50,090 views on my blog, with 21,231 visitors (2.36 views per visitor). Of that, I’ve had 35,871 just for my Worldbuilding articles, or 72% of all views. I got lucky, truthfully, I found a niche that people needed but no one realized they did. It was my passion that allowed that niche to be born, and my passion to know that it would be of value, if I just kept at it. Remember that with your blog, whatever your passion may be, let that be the #1 reason you do your blog. And do everything you can to make your blog the best i can be. With a little time, it could be invaluable to others who share your passion.